I saw this Simple 3 Ingredient Cashew Cheese Recipe online a long time ago, but I haven't had the chance to make it. I had been soaking cashews for a day or to over the weekend, and I cooked sauerkraut the other day, so I had some of the starter (juice) left over. As a result, I figured that it was time to try this recipe out. However, I did add a few ingredients. The sauerkraut starter, nutritional yeast, and tahini give this "cheese" a distinct sour and cheddary flavor. This cheese is supposed to harden (mine just about has at this point), but I was so excited with how delicious it tasted when I made it that I had to share it with you right away. As always, I was eating this straight out of my food processor, amazed with all of the delicious (and healthy) foods that I can make with it. 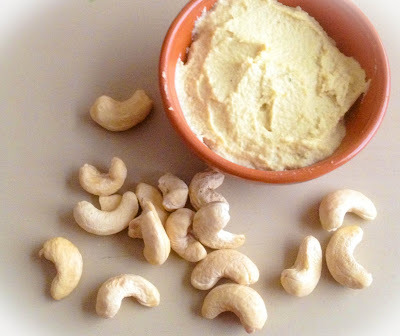 Adapted from: Simple 3 Ingredient Cashew Cheese Recipe. 1. 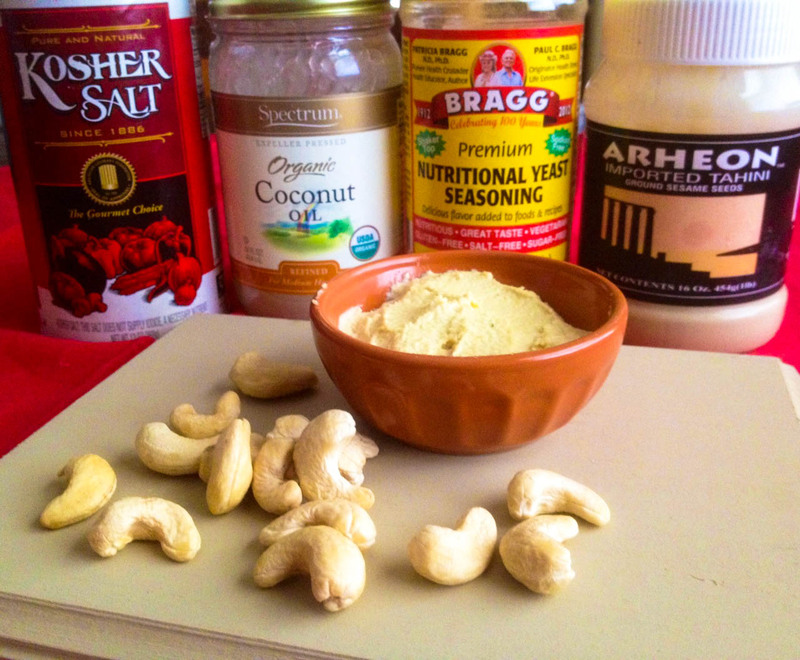 Add all of the ingredients to a food processor. Blend until smooth and creamy. 2. Let the "cheese" sit out either in a food dehydrator for a few hours or out on the counter for a day or so. It should harden. This looks fantastic! Tahini is such a great addition! Can't wait to try it! Sounds good to me. Ahhh...the joy of law school. Lol. ❤ My heart goes out to you! Aw I'm glad that you found me too! ❤ Can't wait to check out your blog. Thanks! Here's part one: http://butyesidoeatpotatoes.blogspot.com/2012/08/adventures-in-vegan-cheese-making.html (I don't know why it doesn't say "Part 1." Haha.